Action against former Defense Secretary Gotabaya Rajapaksa and 7 others have been filed by the Commission to Investigate into Allegations of Bribery or Corruption today for unlawfully authorizing the establishing of the floating armoury. The seven other persons are former Additional Secretary of the State Ministry of Defense Damayanthi Jayaratne, Major General Palitha Fernando, Major General K.B. Egodawela, former Navy Commanders Admiral Somathilake Dissanayake, Admiral Jayanath Colombage, Admiral Jayantha Perera and Avant Garde Chairman retired Major General Nissanka Senadhipathi. Director General of the Commission Ms. Dilrukshi Dias Wickremesinghe said that Avant Garde Maritime Services had earned a sum of Rs 11.4 billion as a result of being allowed to maintain a floating armoury. A massive stash of weapons was discovered on board when SL Navy boarded the vessel on 6th October, 2015. A massive protest march commenced from Sri Jayawardenepura University today (31st) protesting against the SAITM illegal medical degree selling medical school at Malabe. A large number of students participated in the protest march and agitation organized by Medical Students. Police fired teargas and water cannon at the peaceful march of students at the Kollupitiya Junction. ‘Divaina’ newspaper has again published a deliberately misleading story regarding a clash between two groups of students in Sri Jayawardenepura University. The Students’ Council of the University states that the news item published by yesterday’s (30th) issue of ‘Divaina’ that a group of students was attacked by other students stating they had refused to participate in the massive agitation to be held in Colombo today against SAITM illegal medical degree shop is nothing but a canard. The students’ Council states the clash was not connected with the agitation and protest march to be held today. “Divaina’ had also had earlier published a clash between two groups of students of Peradeniya University but at a media conference convened by the Vice Chancellor himself it was stated that the news item published by the newspaper was a blatant lie. FCID questioned former Chief Minister of Uva Provincial Council Shasheendra Rajapaksa yesterday (30th) for more than three hours regarding financial irregularities that cost the state several millions committed when constructing Diyagama Mahinda Rajapaksa Stadium at Homagama say reports. Rs. 400 million had been spent to construct the stadium while Rs.123 million was given by various institutions for the construction. The Chairman of the Director Board engaged in the construction had been Mr. Shasheendra Rajapaksa. There are accusations that financial irregularities that cost the country several millions had been committed when constructing the stadium and a statement has been recorded from the former Chief Minister as a part of the investigation. Ratnapura Police that has not carried out any investigation regarding the complaint made by students who were injured when a gang lead by the Chairman of Private Bus Owners’ Association Gemunu Wijeratna carried out an attack on students of Sabaragamuwa University at a meeting organized by parents of students of SAITM medical school, has begun investigations against the victims of the attack based on a statement given to the media by Gemunu Wijeratna say reports. It is reported that CID officers, who have visited the homes of the three students who were injured, are recording statements from family members of the students. However, the police have not taken any action regarding eh complaints made by the students who were injured in the attack by Gemunu Wijeratna and his gang. Did Gammanpila refer to Weerawansa when he talked about ‘Hanuma’? The ‘National Physical Plan and Policy’ presented by pseudo patriot Wimal Weerawansa while being the Minister of Construction, Engineering services, Housing and Common Amenities in January 2011 had proposed a railway line a road and a communication line connecting Sri Lanka and India across Palk Strait. The plan to join Sri Lanka with India was presented stating thee is a population of 1470 million in the South Asian Region and Sri Lanka would have access to this population through the bridge across the Palk Strait. 1. Promotion of International transport and regional integration. 2. Main Access to Sri Lanka for gas and oil resources at Bangladesh. 3. Link of areas of economic activities such as main agricultural and industrial centers. 4. Connections to main sea ports thereby increase of container handling and logistic supply. 5. Major cargo input to ports at Colombo and Hambanthota from and to Indian Subcontinent. 6. Development of tourist industry by connection to major tourist destination. It is not very clear whether Mr. Udaya Gammanpila meant Mr. Wimal Weerawansa when he talked about ‘Hanuma’. India and the US have agreed to share military logistics, to provide supplies and fuel to each other’s armed forces from their bases. This was stated by the countries’ defense ministers of both countries today (30th). The agreement will allow the militaries in the two countries to use each other’s land, air and naval bases for resupplies, repair and rest. U.S. Defense Secretary Ashton Carter and his Indian counterpart, Manohar Parrikar would finalize the text of an agreement in coming weeks. The deal will allow the US to cooperate with India in both strategic and technological areas at par with other close and long-standing allies of Washington. Besides, it will help the navies to have an “easier time supporting each other in joint operations and exercises. According to analysts the agreement is a move to counter Chinese influence in the South China Sea and into the Indian Ocean. The U.S. military too has made clear it wants to do more with India, especially in countering China. However, the agreement would have repercussions in the states around the Indian Ocean such Sri Lanka, Maldives, Bangladesh, Pakistan etc. Moreover, Pakistan is an ally of China. Basil Rajapaksa and three others have been indicted in Colombo High Court today (30th) for misappropriation of Rs.33 million rrom funds belonging to Divi Neguma project. Several more suspects connected with the crime are to be indicted but the process has been put off until 19th October as they are already remanded in connection with other offences. 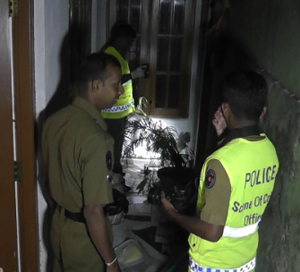 An Army officer was arrested by Athurugiriya Police today (30th) in connection with the incident where his wife was shot at by unidentified persons. Lieutenant Colonel Pradeep Kumara Nettasinghe’s 45-year-old wife was shot and was admitted to the National Hospital with gunshot injuries on Saturday. The police are searching for the revolver used in the shooting. 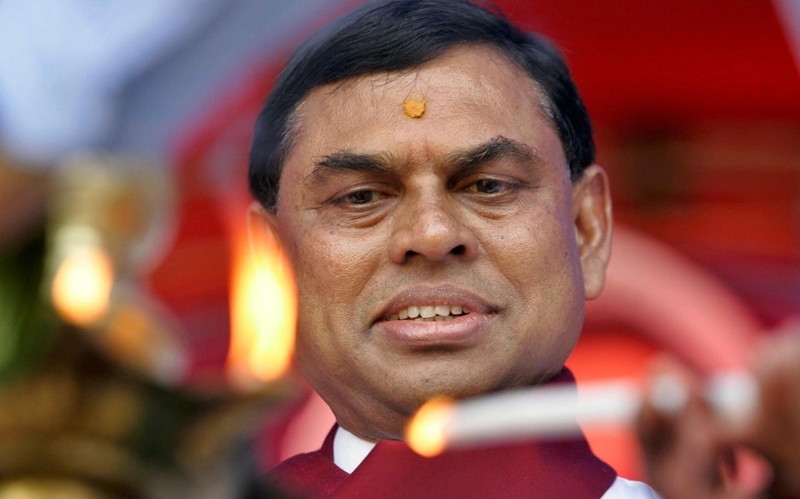 A committee of nine headed by former Minister Basil Rajapaksa has been appointed by former President Kurunegala District Parliamentarian Mahinda Rajapaksa to discuss whether SLFP Parliamentarians of Mahinda faction should form a new political party or not and present a report regarding what steps should be taken in the future. The other members of the committee are Dallas Alahapperuma, Pavithra Wanniarachchi, Bandula Gunawardene, Prasanna Ranatunga, Shehan Semasinghe, Rohitha Abeygunawardene, Mahindananda Aluthgamage and Mahinda Yapa Abeywardena.